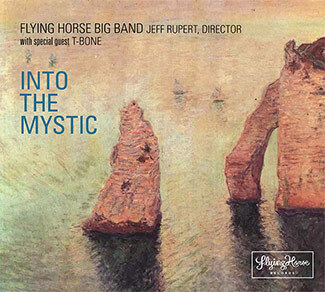 Into the Mystic features both repertory works and new works, including a suite for Miles Davis and James Brown, and vocals from T-Bone. The album presents remakes of classics by Marvin Gaye, The Beatles, The Neville Brothers, Crosby, Stills, Nash & Young, and Van Morrison, as well as Charlie Parker, Eddie Harris, Ray Anthony, and Al Cohn. The repertoire reflects the members’ strengths and artistic pursuits. The song choices have little premeditation, much like the band’s concert repertoire which evolves throughout the year.